Uttar Pradesh Chief Minister, Akhilesh Yadav is working on a plan to distribute free smartphones in the state. Snapdeal has announced the launch of various services including flight and bus ticket bookings, hotel reservations and food ordering – all of which can be accessed through its platform. 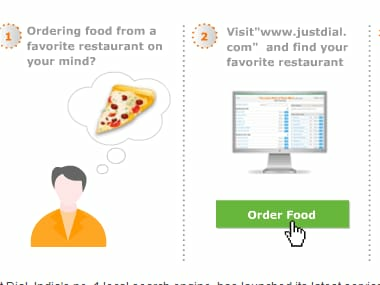 Local search company Justdial has added online food delivery to the services it provides, in Mumbai, Navi Mumbai, Thane, Pune, Ahemdabad, Bangalore, Chennai, Coimbatore, Delhi, Faridabad, Ghaziabad, Gurgaon, Howrah, Hyderabad, Kolkata, and Noida. The service will allow SMEs to access Microsoft's e-mail, collaboration, conferencing and productivity capabilities online. Google said it plans a trial of Gmail users to see if the HTTPS protocol affects the performance of their e-mail.